(Newser) – Rick Perry's solution for soaring education costs: get public universities to offer 4-year degrees for $10,000 or less. The Texas governor challenged state schools a year ago to create budget programs, and ten have responded—including Angelo State with a $9,974 degree and Texas A&M University-Commerce with a $10,000 degree in "organizational leadership." How can they afford it? By increasing class sizes, granting credits more easily, and sometimes relying on big scholarships, the Wall Street Journal reports. Typical Texan comment: "Hold my beer and watch this............". Wish we could get rid of the entire Republican party except Perry, McCain & Scott Brown. There's hope for those three they could be blue dogs. But the rest of the GOP should be put on an island someplace with no government, no taxes, and corporations can dump all their toxic pollutants on the island with them. As a former public school teacher, a mistake I will NEVER make again, I can state there will not be quality education in Texas or any other state until two things occur: Get politics out of education and get education out of politics. Eliminating the US Dept of Education will be a VERY giant step to getting politics out of education. Just because an agency has the name "Education" as part of its title, that does not mean it promotes education. The exact opposite has occured since The Dept of Education became a separate agency; education has gone slowly, steadily downhill. Today, over 60% of high school seniors GRADUATE illiterate, so illiterate they cannot point to their own name on their diplomas. The goal of schools nationwide today is not education, but to get students to pass standardized tests. It has been repeatedly proven that neither knowledge of a subject nor literacy is required to pass a standardized test. Yet, standardized tests have become the god of education. Here are some examples of other Dept of Education accomplishments. 1. The highest illiteracy rate among high school graduates in history. 2. Businesses favoring applicants with a GED over an applicant with a diploma. Some businesses state they will not even accept an application unless the applicant brings a copy of their GED scores. 3. High school class valedictorians who need to take one or two years of remedial work before starting their freshman year in college. 4. An illiteracy rate among the general population that is now over 50%. 5. Dumbing down of tests to artificially create higher test scores. For those of you unfamiliar with the term "dumbing down," it means writing an easier test. I could go on, but you get the idea. 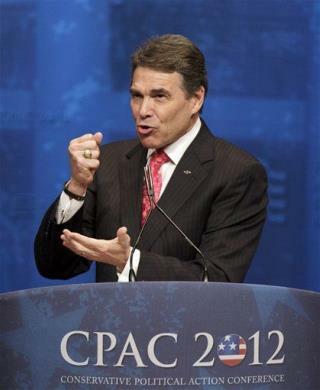 As far as governor Perry and his accomplishments are concerned, I suggest Texans solve that problem at the ballot box. . America or obama this November! You can't choose both!